Morning with fog from the hill. The poorer neighborhoods of Lima are generally installed on the slopes of hills. It is very common to see very precarious houses to others with a construction somewhat more robust. They are dangerous neighborhoods but always depends on the glass you look at. That morning I wanted to climb a little higher up the hill to be able to capture the half of the neighborhood covered with a fog that dissipated and the other half already discovered. 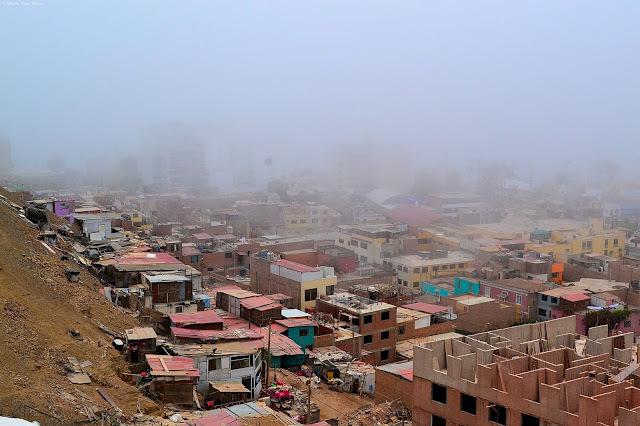 Chorrillos . Lima . Peru.